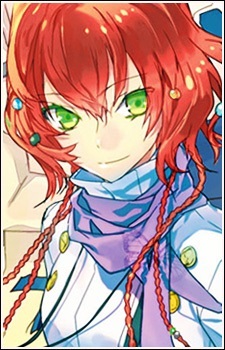 She is the last remaining direct member of the main house of the Souma family, who are implied to have royal origins as well as being a shrine maiden. The Souma Clan, like the Kurahashi Clan, once supported Yakou during WWII through their control of the military. However when Japan lost the war they had all but disappeared. Atsune Hirata is her other identity. While she is one of older members of Twin Horn Syndicate, Takiko considers herself different from the current Yakou Disciples because she seeks to fulfill his will and ideals which the organization was founded on. She is secretly allied with Genji Kurahashi to achieve this desire and cleanse Twin Horn Syndicate of its mindless fanatical elements by awakening Yakou within Natsume.